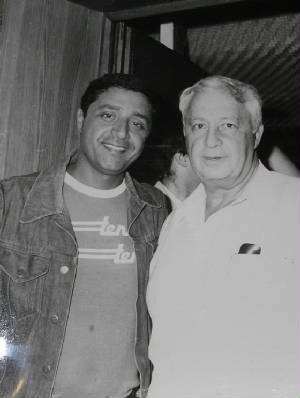 Moshe Levy with General Ariel Sharon. At exactly 5:30 pm, the ship`s captain, Lieutenant Commander Itzhak Shoshan, called out to Sergeant Frisher and me. His terror-stricken call at that moment not only ended our routine and tranquility, but also the life of 47 of our crew members. Two hours after this alarm, the sea had already claimed the Battleship Eilat. This marked the beginning of the crew's courageous battle of survival on this infamous night. Moshe Levy was there, on the ship, when it happened and tells the horrors of his traumatic adventures in his book "Neshama 48"- The 48 Soul.